Hodder & Stoughton, 2004, Hardback in Dust Wrapper. Condition: Good. A pleasant enough reading copy. From the cover: “Henrietta Spink has lived through a mother’s worst nightmare — not once, but twice. Her first son Henry was born quadriplegic and it was assumed that he was severely brain-damaged. She was told he would always be a ‘vegetable’. Four years later her second son Freddie arrived so disabled that again they were told he would never eat, walk or talk properly. For Henrietta and her husband Michael it was the end of the world as they knew it. And the start of a life of twenty-four-hour washing, lifting, feeding, and caring. In this profoundly moving yet inspirational book, Henrietta charts her journey from rage, depression, hopelessness and deep grief along the slow path to realising her dream — a better life for her sons and a cure for her eldest son Henry. 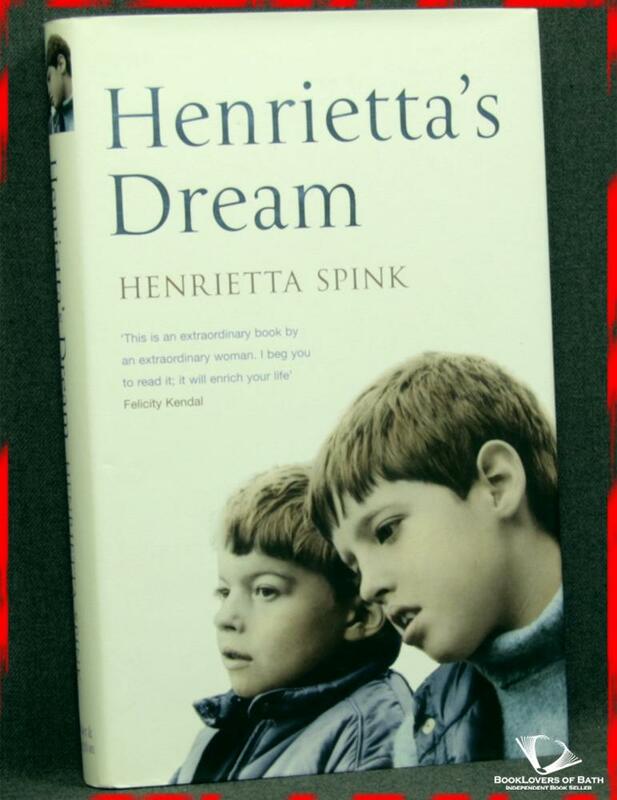 After years of doing her own medical research and contacting doctors around the world, Henrietta is working with a leading American neuroanatomist towards unlocking Henry’s brain and fulfilling the vision she has always had that Henry will one day be normal and healthy. Faced with some of life’s toughest challenges, Henrietta has seen them ultimately as a gift. Her experience has given her an indomitable spirit, the courage to fight the Goliaths in charge of disabled care, and the inner strength to cope with the many setbacks for her family along the way. Size: 8¾" x 5½". Blue boards with Silver titling to the Spine. 291 pages.